Getting behind in your payments can be a result of several things, job loss, medical bills, unexpected expenses to name a few. If you owe more money then you have assets, you are considered “upside down” in your debt. Even by selling everything you own, you still would not have enough money to pay back everything you owe. You may be able to keep up with your debt for a while, but soon you may find yourself losing ground due to late fees and interest. When you can only afford to make the minimum payments, it seems as if the debt isn't moving in your favor at all. If you are at risk of losing your home, by filing bankruptcy, you will receive an automatic stay preventing the lender from any legal action against you for the duration of your bankruptcy. If you choose to file Chapter 13 bankruptcy, you will obtain a court-approved repayment plan and catch up on your mortgage payments. As early as one missed payment can have your vehicle lender threatening to come and get the vehicle. Since car payments are secured loans, the vehicle is the collateral and legally can be repossessed for nonpayment. If a lender takes back possession of the vehicle and sells it at auction, you may still be responsible for any money left over on the loan. 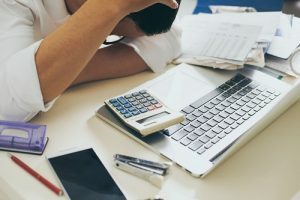 If on the other hand, you file bankruptcy, the repossession process will stop giving you time to decide if you want to wipe away the car debt by giving the car up to the lender, or catching up on the payments and keeping the car with a Chapter 13 bankruptcy. Why wait until you lose your house or your car? Contact a Sacramento bankruptcy attorney to get an automatic stay and stop any legal actions against you. Find out how you can get your credit card debt and loans wiped away and get a fresh financial start.